Pawanmuktasana is a very powerful pose at the beginning of the asana practice, which helps the entire digestive system and makes asana practice easier. Exhale and while inhaling slowly raise the legs to a 90 degree angle from the floor. Bend both legs at the knees and rest the thighs against the abdomen, keeping the knees and ankles together. Encircle the knees with both arms, hands clasping opposite elbows. Bend the neck and place the chin on the knees. Continue to maintain the asana, breathing normally. 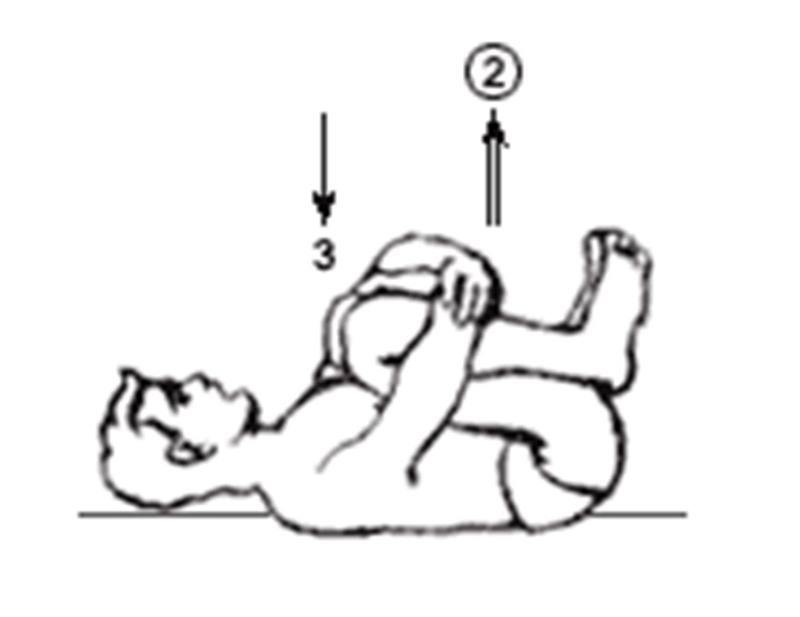 In this position the thighs are pressed against the abdomen and the wrists or elbows are clasped. The neck is bent towards the knees and if possible the forehead or chin is touching the knees. The breath is relaxed. Straighten the neck and lower the head back on to the ground. 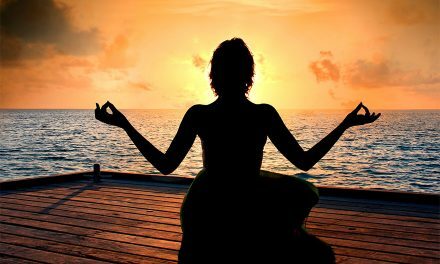 Release the arms and place them beside the body. While inhaling straighten both of the legs, let them rest at 90 degrees from the ground. 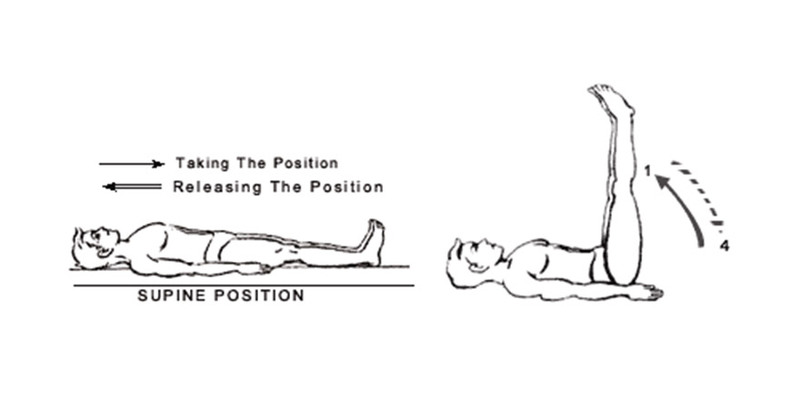 Exhaling slowly lower the legs back to the supine position. Abdomen (especially lower abdomen), thighs, hips, buttocks. On relaxing the abdomen, thighs, hips, buttocks. Normal breath. Stretches the neck and back. The abdominal muscles are tensed and the internal organs are compressed which increases the blood circulation and stimulates the nerves, increasing the efficiency of the internal organs. The pressure on the abdomen releases any trapped gases in the large intestine. Blood circulation is increased to all the internal organs. Strengthens the lower back muscles and loosens the spinal vertebrae. Massages the pelvic muscles and reproductive organs and is beneficial for menstrual disorders. Reduces fats in the abdominal area, thighs and buttocks. If there is any pain, stiffness or injury to the neck the head should remain on the floor. To begin with start with 10 seconds and slowly increase up to one minute. It is good to practice this pose on waking as it stimulates bowel movements. During your asana practice, this pose should be the done in first few practices as it will relieve the trapped gases from intestines and will make the asana practice more easy and flexible. 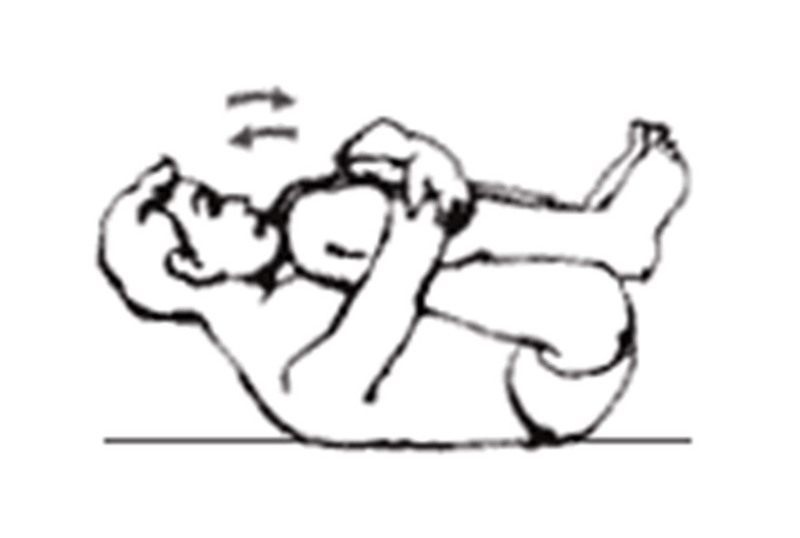 Sulabh Pawanmuktasana (Easy Gas release pose) – Please keep the head on the floor instead of lifting it. Ardha Pawanmuktasana (Half Gas Release pose) – Instead of bending both the legs, bend one leg. I am a diabetic patient, age 51 years, suffering diabetic since 6 years. using allopathic medicines. 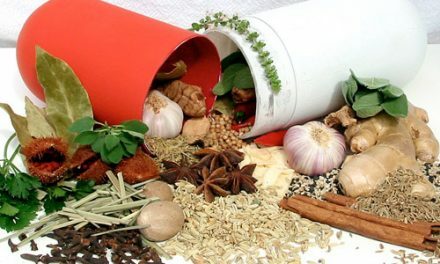 would like to try in ayurvedic or natural science exercises or medicines etc. I also feels, gas trouble while passing urine every time. after eating any spicy item feeling gas trouble. without eating also feel stomach is full and filled with gas. This I am feeling since 5 years. Many people are afflicted with the gastric problem and the article here explains easily how to perform Pawan Mukthasana to get relief in a natural way.Elderly people may perform this slowly , if their constitution permits. This asana is very helpful for those who have severe gas problem. Thanks to the sender. If there is, then will you please let me know what it is like? 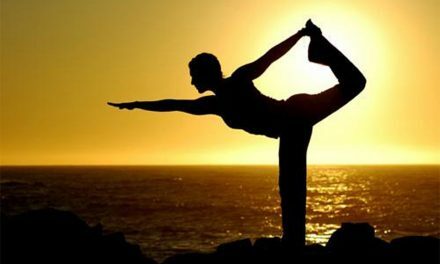 In Yoga, as in any other medical treatment, one cannot expect immediate relief but if the practice is continued with full faith and confidence the results will be marvellous and the problem will disappear for ever. Very useful indeed….!!! I do some asanas regularly..